Available in 6" x 12" or 12" x 12.5"
Reduce hemorrahaging, muscle spasms and pain. Promote fast healing for a better recovery. Place in the freezer and use as a cold compress or heat in the microwave (on a low setting) or hot water for a hot pack use. 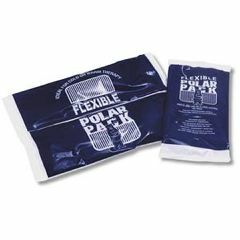 Pack will remain flexible when frozen and may be easily contoured to the body.